What’s so special about “Hover camera” ? 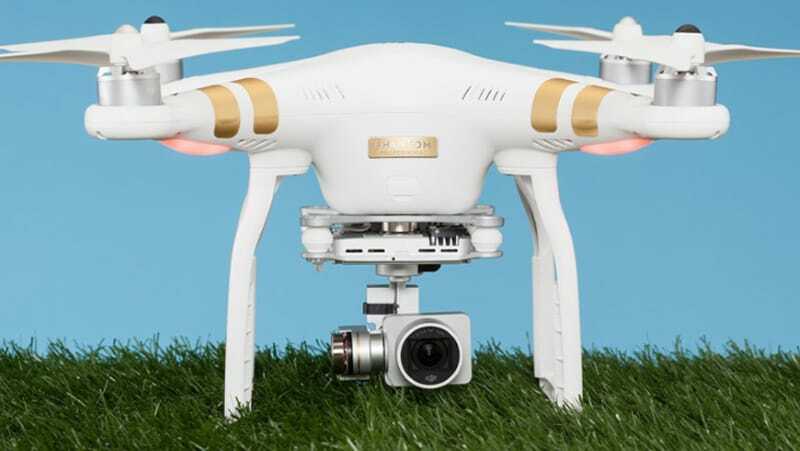 If you’re regular tech magazine reader, I’m sure you already know many so called smart/personal/lifestyle/selfie drones were released in 2015/2016. Today, we’ll talk about new drone that recently joined team. We’ll talk about Hover camera. By the way, they even don’t want you to call it a drone. That’s totally reasonable, it’s not a drone, it’s a hover camera! Almost all “lifestyle” drones released in the past year had similar problems. Some of them were too big for daily use, some of them didn’t have propeller protectors (safety, safety) and most of them were just too complicated for daily use. When I say complicated, I mainly mean they had too many features that weren’t really necessary for large percentage of potential buyers. 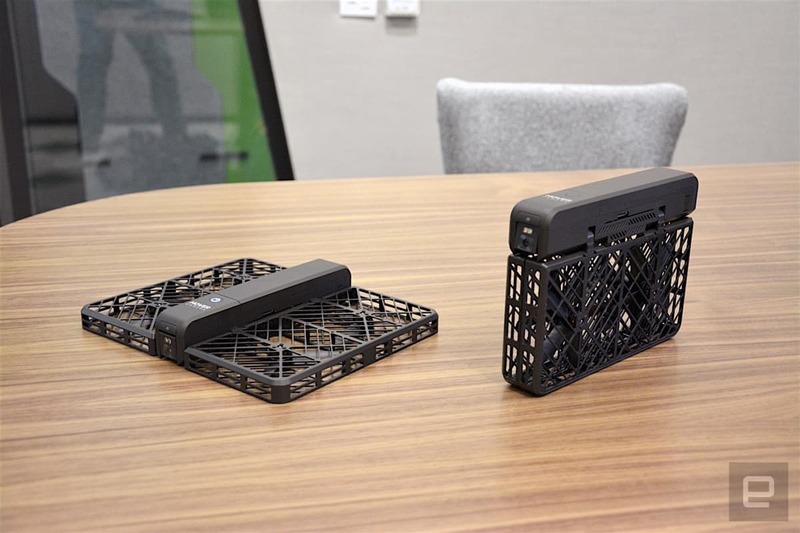 From materials available online, we can say that Hover camera is definitely not too complicated for use, propellers are protected, and it’s not too big in size (182 x 132 x 32.5 mm) . 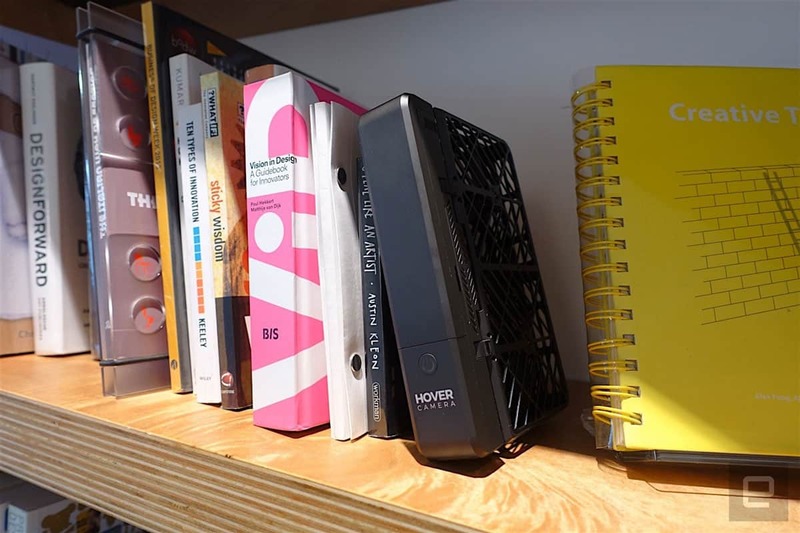 Great thing is that Hover Camera can be folded in like a book when not in use. When folded, it will fit into most bags and even some large pockets. I’m sure many of you will appreciate this feature. Another plus is its weight, it weighs only 238 grams which is 12 grams less than minimum weight (250 grams) set by the FAA for drone registration. That means you don’t need to register it! As its name indicates, Hover camera is able to hover (what a surprise here). Take a look at video included below, hover function is extremely easy to use and it seems to work great. You just have to press on button placed on drones nose and drop it in air. Since it comes with powerful Qualcomm Snapdragon 801 processor, it’s able to run demanding face & body recognition software locally. That means, Hover camera can follow you without use of GPS. Remember, when you use GPS you have to hold some so called position receiver that is wirelessly connected to your drone, in most of cases that position receiver is your drone flight controller. This is not case with Hover drone, there is no need for any type of position receiver. It will be interesting to see how this face & body recognition algorithm perform when you’re somewhere in crowd, with lots of people around. I’m sure they already addressed this potential issue. Personally, I’d really like to see logic that stays behind that algorithm. As a programmer, I see few potential ways to avoid this issue but I won’t talk about that now. So, Hover camera is foldable and easy to carry, it’s safe and easy to use + its main feature (hovering) seems to work well. All that leads us to camera. With Hover camera you can take 13MP photos and 4K video. Also, traditional gimbal is replaced with electronic image stabilization (again, this wouldn’t be possible without powerful processor). According to materials available online, electronic image stabilization works pretty good, all shots looks steady. For now, we have no information about price of Hover camera. If I had to guess, I’d say it will be in $400-$600 range. Considering its capabilities and materials, that price seems pretty reasonable to me.